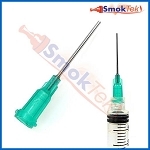 Available in 0.5 ohm (+/- .2) resistance. 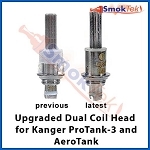 These replacement coil heads are intended for the Kanger Subtank Plus, Subtank Mini and Subtank Nano tanks. 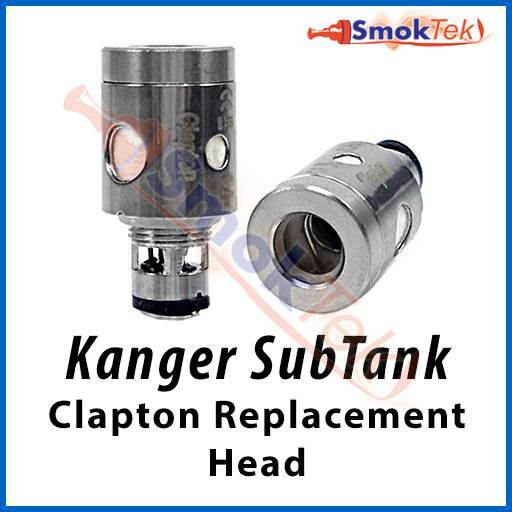 They are also compatible with the Kanger Toptank series. 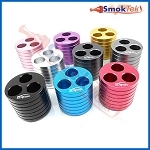 These coil heads feature a vertical Clapton coil made out of kanthal wire. 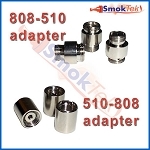 The coil head itself is constructed out of stainless steel. 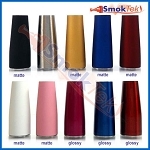 The wicking material is Japanese organic cotton, for excellent, clean flavor from your e-liquids and big clouds of vapor. 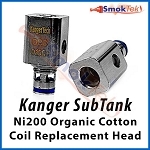 Changing the coil is easy: simply unscrew the base of the Kanger Subtank, unscrew the old coil and replace with a new one! 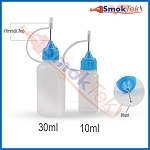 To fill the Subtank, hold the unit up-side-down, unscrew the base and fill with e-liquid (be careful not to get any e-liquid down the center tube - a needle-tip bottle makes the task effortless.) Screw the base back on and you are ready to vape. 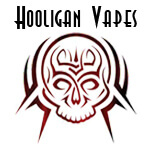 If using a new coil, we highly recommend priming it by dripping 2-3 drops of e-liquid onto the exposed cotton on the coil. After filling your Subtank, please allow a few minutes for the e-liquid to fully saturate the coil if using a brand new vertical OCC coil. 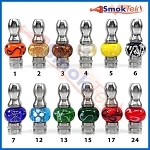 PLEASE NOTE: Please only use these sub ohm heads with devices capable of handling sub ohm coils. 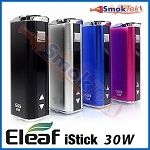 If using a mechanical mod, please only use High Drain batteries with a high amp limit; if using a variable power mod, please use High Drain batteries in a device capable of putting out 20W or higher. 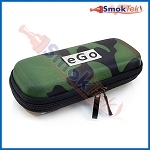 NEVER use sub ohm coils on an eGo battery or a device that can not handle sub ohm coils. 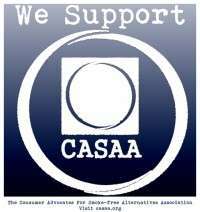 It is for your safety! 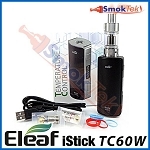 The metal tube in the center of the clearomizer leads from the mouthpiece to the battery end. Avoid getting liquid in this tube when filling the unit. 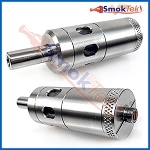 When unfastening the base (atomizer head) to refill the clearomizer, the seals are temporarily broken and liquid will leak from the mouthpiece or escape into the center tube. Always wrap a cloth or piece of tissue around the mouthpiece when unfastening the base of the unit. 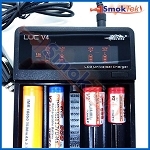 It is normal to find a small amount of liquid in the battery contact area when removing the atomizer. We recommend cleaning the battery before charging it.